The Revenant is pure film-making. 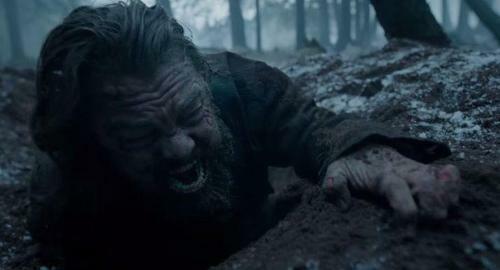 In a time of CGI and worlds that can be completely crafted on the computer and rendered digitally, The Revenant demonstrates that there is no substitute for the real thing. Of course it was more difficult to film and many would have found the efforts that Alejandro Inarritu went to absurd but the moment the landscape appears on-screen and offers the perfect backdrop, you realise why he went to so much painstaking effort. The cast would never have to experience the same conditions the original Mountain Men they play would have but you can’t fake the cold. You see the shivers, the ice stuck to the faces of each actor and the blood staining the pure white snow with each effective piece of violence. The staging is only the first part of the movies success though. The movie is divided into two very different stories. The marketing for the film placed the revenge theme at the forefront and for good reason. This is a movie about a man seeking justice for the death of his family. This could also be the films misstep however because those looking for a revenge thriller will find themselves drifting at the movies middle-act, when the second story takes control. Most of the middle section of the film is a survival story. It is an incredible one too. This is down to the excellent performance by Leonardo DiCaprio. DiCaprio throws himself into a role in which he is predominantly the only person on-screen. He shares his movie with very few people but has the most interesting moments. DiCaprio’s character is also the classic “man of few words,” not just through circumstance but also choice, as the first few scenes between him and protagonist Tom Hardy demonstrate. Here he manages to excel too, selling a story with little to no dialogue in a stark, cold wilderness. 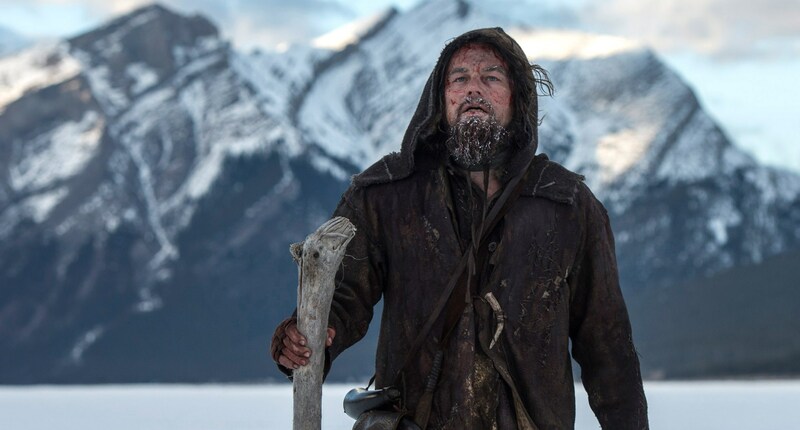 What The Revenant does very well is manage to mix the two separate aspects of the story to form something compelling. It is both a revenge movie and a survival film. If the latter is because of DiCaprio, the former works because Tom Hardy is an effective villain. In his fairly short career, Hardy has played some iconic villains but few have been as dark and cold as John Fitzgerald. He isn’t a pantomime, exaggerated villain either, he is a realistic, motivated individual who deserves comeuppance and will help you root for DiCaprio to succeed. Considering these two varied tales take over two hours to tell, Inarritu doesn’t waste any time. There are establishing, incredible shots but nothing feels wasted or indulgent. Taking a moment to watch DiCaprio walk across a huge, frozen lake or see the ice-cold water cutting through a stark valley is worth it so that the struggle the central character is going through is clear. Inarritu doesn’t just stick with realism for the environments either. At times The Revenant is a difficult film to watch and the gritty, often gruesome realism only adds to how effective the story-telling is. The violence is bloody and visual, the opening battle harsh and the scene with the bear very scary. What it does mean is that you get the sense of how much DiCaprio’s character has to overcome and his achievements mean so much more. Overall, The Revenant is two very successful movies. In the first instance it is a revenge movie but one with a long story of survival in the middle. Luckily, Inarritu has crafted the film so well that it does both effectively. Add to this two fantastic performances, especially from DiCaprio, who sells the pain, injury and spirit at the heart of this story with what should be an Oscar winning role. I agree was very hard to watch at times, also I thought Will Poulter was great! He was. As was Domnhall Gleeson. I think everyone brought their A-Game. Definitely, Domnhall Gleeson is on a great streak! I prefer the survival aspect to the revenge aspect. I thought I did until the finale. I think without one, the other wouldn’t work as a movie on it’s own. Previous Previous post: Who is the next WWE movie megastar?